이노비가 6년째 찾아가는 장애인 서비스 기관의 어느 어머니께 받은 이멜을 함께 나눕니다. "이노비의 음악 선물을 통해 아이들과 함께 즐거운 시간 보내게 되어서 감사드립니다. 그리고 생일을 맞은 우리 딸 혜지(가명)를 위해서 생일 축하 노래를 불러주셔서 더 특별한 선물을 받았습니다.우리 혜지는 자기 생일이 어떤 날인지를 이해하지 못하지만 자신이 무대에 서서 많은 사람의 축하를 받은 특별한 경험은 잊지 못할 것입니다. 혜지를 대신해서 다시 한번 감사를 드립니다." 이번 5월에도 이노비는 서울과 뉴욕 오피스를 중심으로 약 60명의 뮤지션이 총 6번의 찾아가는 무료 공연을 나갑니다. 장애를 가진 분들, 입원한 중병 환자들, 생의 마지막을 준비하는 어르신들.. 누구보다 더 많은 관심과 희망이 필요하신 분들입니다. 앞으로도 이노비는 도움과 관심이 필요한 이웃들과 함께 할수 있기를 노력하겠습니다. I would like to share this endearing letter from a mom whose child is enrolled in an organization for children with disabilities; an organization in which EnoB has been volunteering free musical performances for the past 6 years. for their kindness and effort." 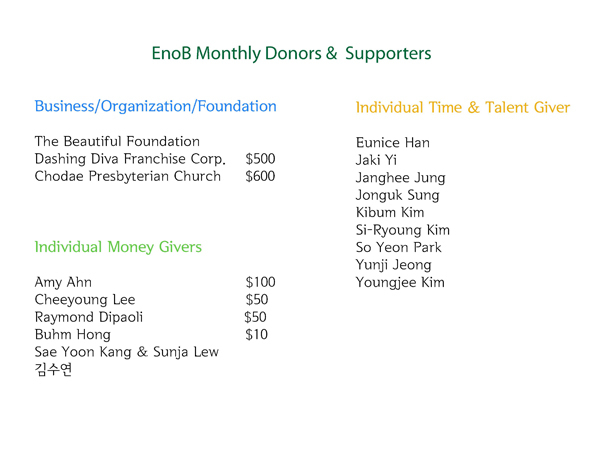 This May, EnoB will be conducting 6 outreach concerts with the assistance of approximately 60 musicians based in our New York and Seoul offices. Those with disabilities, serious illnesses or preparing for their last moments of life urgently need our concern and love. EnoB will strive to continuously be there for those in need of caring and consideration. 이노비 뉴욕과 서울 오피스를 소개 합니다. 이노비가 서울대학교병원과 협력하여 정기적으로 지역사회 한인분들을 위한 행사를 열기로 했습니다. 그 첫번째 사업으로 오는 5월 14일 10시에 뉴욕효신장로교회에서 한인분들을 대상으로 건강세미나와 가곡콘서트를 엽니다. 이 날 행사에서는 서울대학교 신경외과의 백선하 교수님께서 "파킨슨병 환자에서의 수면 뇌심부 자극술"에 대한 건강 세미나가 진행되고 2부는 이노비 음악회로 ‘그리운 금강산’, ‘희망의 나라로'등의 가곡과 한인들에게 익숙한 국민가요 등을 중심으로 음악회를 펼쳐 고국에 대한 향수를 달래드릴 계획입니다. 서울대학교병원과 이노비는 앞으로도 일년에 네번 이와같은 행사를 통해 지역사회 한인들의 건강증진과 문화향유를 위해 함께 노력할 계획입니다. 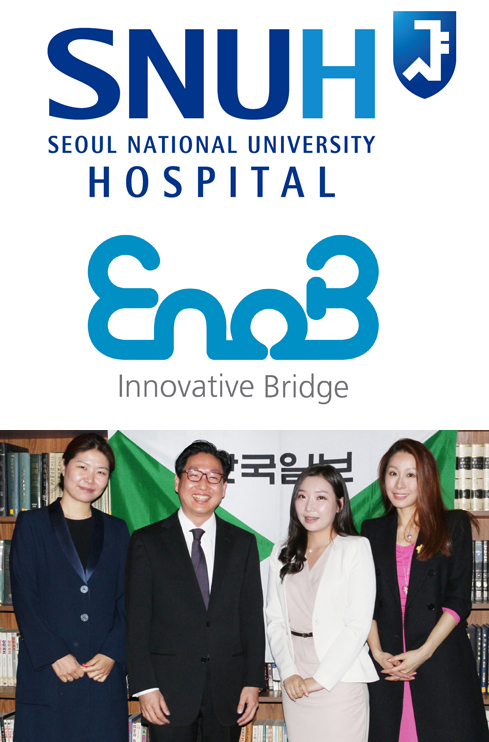 EnoB and Seoul National University Hospital have cooperated on opening an event for the Korean community. On May 14th, 2013, a member of Hyoshin Presbyterian Church of New York will be the first to open a health seminar and a song concert for the Korean community. Seoul National University Hospital and EnoB will continue to serve four times a year through these events for our Korean community and together, allow everyone to enjoy culture and health plans. 이노비 서울이 올해부터 이화여자대학의 사회봉사기관으로 선정되었습니다. 이에 따라, 이화여대학생들은 2013년도 봄학기부터 이노비에서 봉사도 하며 학점을 받을 수 있게 되었습니다. 이번 학기에는 성악과 김희연 학생, 분자생명과학부 김은영 학생, 사회과학부 김예린 학생 등 총3명의 이화여대 학생들이 봉사자로 참여합니다. 김희연 학생은 “이미 페이스북을 통해 이노비를 알고 있었는데, 사회봉사 교과목을통해 이노비에 참여할 수 있게 되어 신기하고 기쁘다”고 합니다. 이번 학기 이노비와 함께 할 이화여대 봉사자들의 활약을 기대해 주세요! 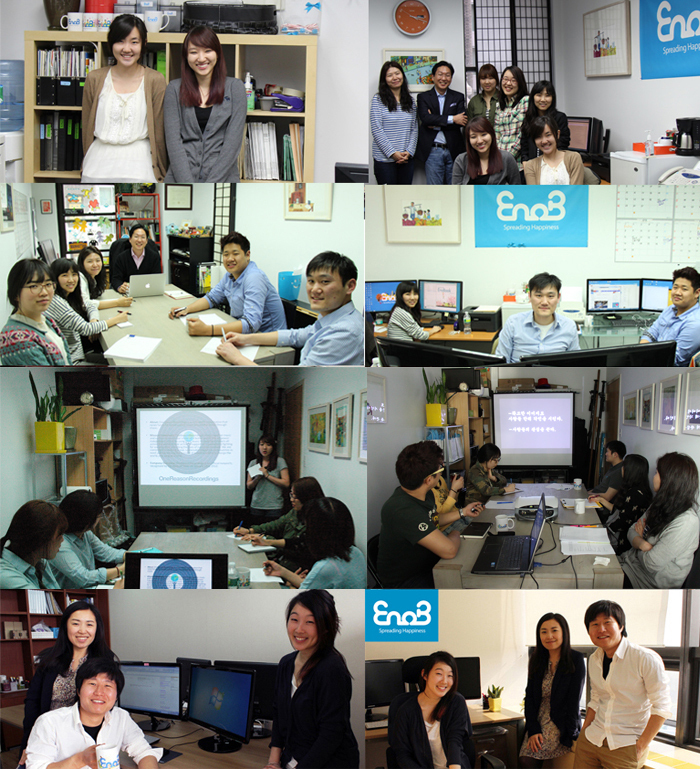 EnoB Seoul has been chosen to be a social service organization for Ehwa Woman’s University this year. Starting this spring 2013, university students can receive credit for volunteering with EnoB. 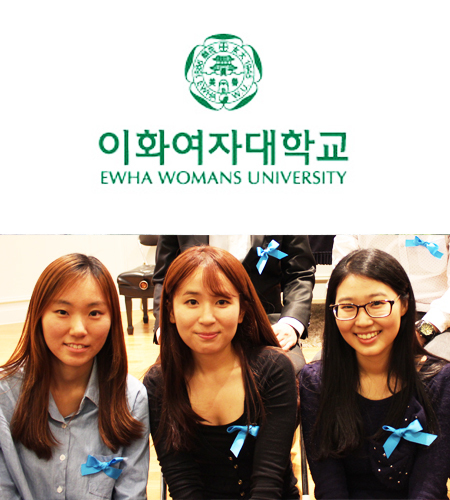 We look forward to working with our Ehwa University volunteers this semester! 이노비가 COCO 장애인 서비스 센터로 아웃 리치 콘서트를 다녀왔습니다! 4월 20일 봄볕이 따뜻하게 내리쬐는 토요일 오후 이노비가 COCO를 찾아갔습니다. 이노비 밴드가 장애 아동들과 함께 아이들이 좋아하는 디즈니 송에 맞춰 함께 노래 부르며 즐거운 시간을 보냈습니다. 아이들의 환한 미소에 절로웃음지어 지는 공연이었습니다. 이 공연은 미주 아름다운재단에서 후원해주셨습니다. 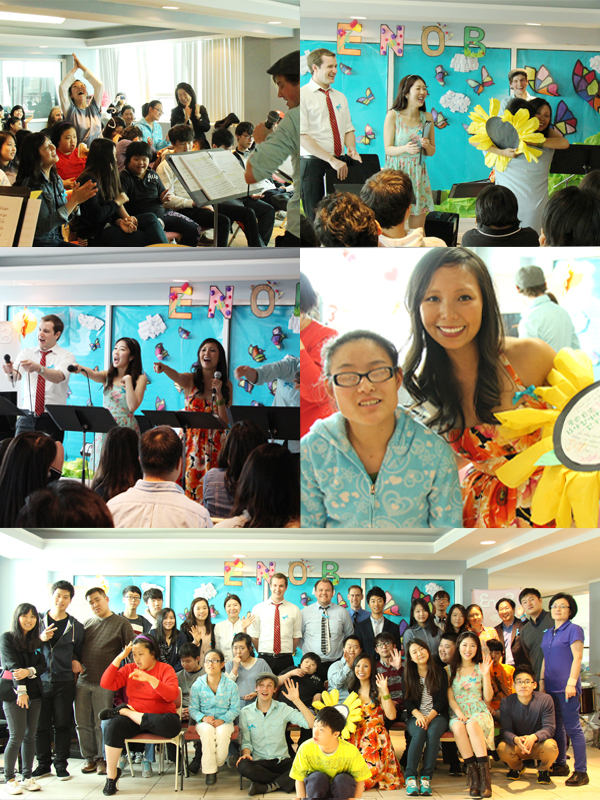 On April 20th, EnoB performed an outreach concert at COCO,Center for Opportunities, Choices, & Outcomes. The EnoB band had a wonderful time playing Disney songs for children with disabilities. The performance made everyone smile and laugh. 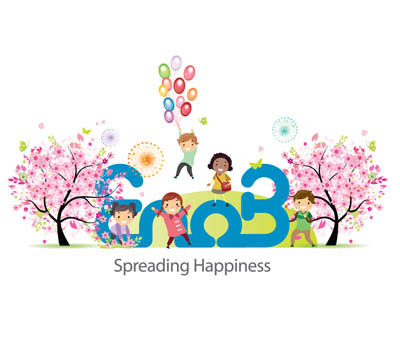 We hope to continue to spread happiness at COCO. This concert sponsored by BFUSA. Please, click the image! You will see the video. 이노비의 아웃리치 콘서트! 뉴저지 밀알 공연을 전해드립니다! 27일 토요일, 이노비는 뉴저지에 위치한 밀알 선교단을 방문하여 콘서트를 열었습니다. 이노비밴드와 함께하는 뮤지컬 형식의 공연으로 특수 교육이 필요한 아이들에게 즐거운 시간을 선사하였습니다. Saturday April 27th, featuring the EnoB Band. The concert was in the form of a musical.Children with special needs had a great time dancing and singing along with the band. 5월 8일 이노비는 콜롬비아대학교 어린이병원(Morgan Stanley Children's Hospital of NewYork-Presbyterian) 에서 즐거운 공연을 통해 입원해 있는 어린이들에게 희망을 주고 돌아왔습니다. 이 공연은 It's a Wig! (대표 박철균)에서 후원해주셨습니다. 이미지를 클릭하시면 더 많은 사진들을 보실 수 있습니다. 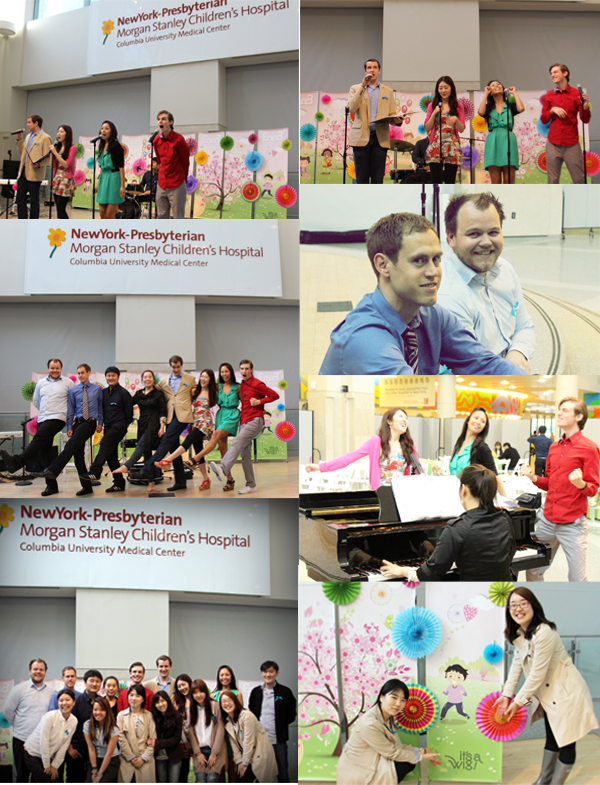 There was an EnoB Outreach Concert at Columbia University Children's Hospital(Morgan Stanley Children's Hospital of NewYork-Presbyterian), New York on May 8th, featuring the EnoB Band. The concert was in the form of a musical. Hospitalized Children had a great time with the band. This concert sponsored by It's a Wig! Please, Click the image! 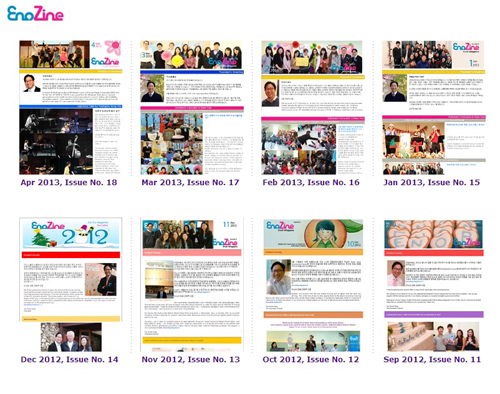 We have more photos. 이노비 서울은 많은 분들께 음악을 통한 즐거움과 기쁨을 선물하고자, 무료 클래식 콘서트를 5월 3일 부암아트홀에서 개최하였습니다. 이번 콘서트는 젊은 연주자들의 자발적인 참여로 기획된 무료 클래식 콘서트였습니다. 이 노비의 새로운 프로그램 코디네이터 김영지님을 소개합니다. 지난 3월 이노비 베네핏 콘서트에서 프로그램을 총괄하며 놀라운 활약을 보여주신 김영지님은, 보스톤 컨설팅 그룹 Boston Consulting Group 서울 오피스에서 7년간 근무하신 경력이 있고 Keller graduate school of Devry College에서 Public management in MBA를 공부하고 있습니다. 평소 사회에 기여하는 비영리 단체에 대해서 관심이 많고 실제 현장에서 일어나는 비영리단체의 전반적인 일들에 대해 알고 싶어 이노비와 함께 하게 되었습니다. 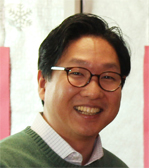 We would like to introduce our new Program Coordinator, Youngjee Kim. Last March, she directed the entire EnoB Benefit Concert program and did an amazing job. Youngjee Kim is currently studying for an MBA in Public Management at the Keller Graduate School of Devry College. She's very interested in non-profit organizations, and she would like to make a contribution at EnoB. 지난 베네핏콘서트에서 소개한 이노비송을 만든 작곡가이자 이노비의 새로운 뮤직디렉터인 크리스찬님은 노르웨이 출신으로 작곡,편곡,연주자로 활약한 재능있는 뮤지션입니다. NYU Tisch school을 졸업하고 지금은 뉴욕에서 여러 뮤지컬 작품에 작곡가로 활발한 활동중입니다. Christian Stahr is talented musician, composer, and arranger from Norway. He created and performed the EnoB theme song at EnoB's spring benefit concert. Currently, he is an active composer of several musical works in New York City and is a graduate of NYU Tisch School of the Arts. 박영님은 줄리어드 음대를 졸업하시고 뉴욕에서 활동중인 피아니스트입니다. 지난 2007년부터James Lenox House 에서 “Young Park & Friends” 라는 콘서트 시리즈를 매달 선보이며 뉴욕에서 꾸준히 연주활동을 하고 있습니다. Young Park graduated from the Juilliard School and is an active pianist in New York. Activity playing since 2007, she is introducing a monthly concert series called "Young Park & Friends" from James Lenox House in New York City. 이노비가 한인 커뮤니티를 위해 서울대학교병원의 건강세미나와 함께 찾아가는 첫번째 아웃리치콘서트 입니다. 플러싱에 위치한 뉴욕효신장로교회에서 한인동포분들을 위한 찾아가는 음악회가 열립니다. 1부는 서울대학교 병원의 백선하 교수님의 건강세미나가, 2부는 이노비에서 마련한 가곡 콘서트가 열립니다. 많은 성원바랍니다. 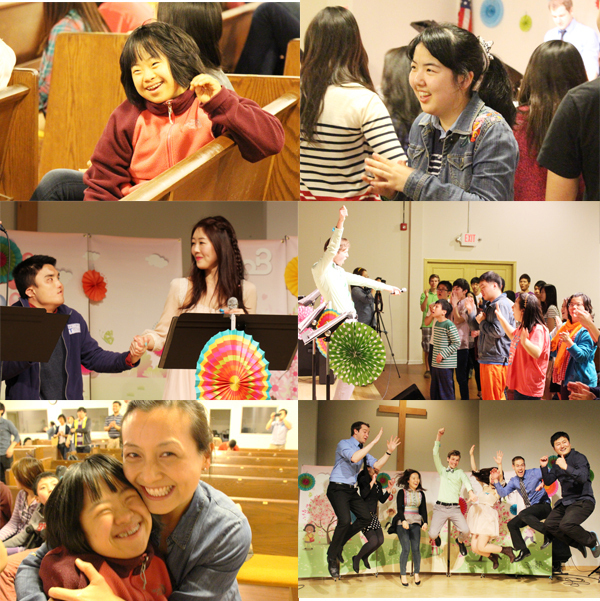 On May 14th, 2013, EnoB and Seoul National University Hospital have cooperated on opening an event including Health Seminar & Concert for the Korean community at Hyoshin Presbyterian Church of New York. 이노비가 뉴저지 Norwood 은혜가든에서 몸이 편치 않은 어르신들을 위한 이노비의 아웃 리치 콘서트가 열립니다. 이노비의 음악회가 노인 분들에게 작은 기쁨이 되었으면 합니다. EnoB will be holding an outreach concert for elders with disabilities at Norwood Mercy Garden, New Jersey. EnoB is hoping our concert will give a little spark to the elders. 이노비는 다국적 의료기기회사인 지멘스 코리아의 저소득층 어린이를 위한 무료 이동 건강 검진행사인 <모바일 클리닉>과 함께 일산의 한사랑푸른교실 지역아동센터를 찾아갑니다. 이 지역의 50여명의 아이들을 대상으로 오전에는 의사선생님들의 무료 검진이 있고, 오후에는 이노비가 준비한 신나는 뮤지컬 콘서트가 있을 예정입니다. 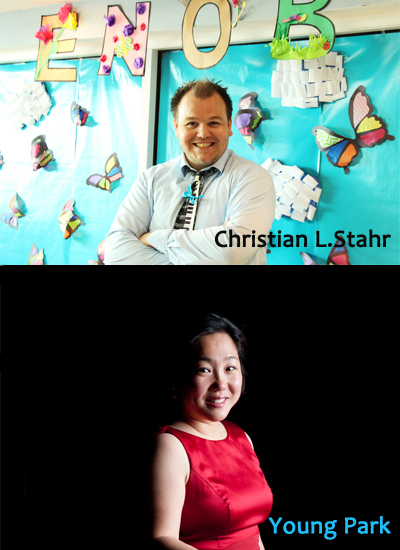 On May 11th, EnoB will hold an outreach concert with Siemens Mobile Clinic for low-income children. The multinational medical device company, Siemens Korea, will coordinate a mobile health screening event <Mobile Clinic> for a local children’s center. The event will provide a doctor’s appointment and a free screening for over 50 children to be followed by a musical concert by EnoB. 서울예술대학교 학생들과 함께 하는 콘서트가 분당제생병원에서 열릴 예정입니다. 이노비의 예술총감독인 박윤영 감독님이 가르치고 있는 서울예술대학의 연기과' 뮤지컬장면실습' 교과목을 이수중인 학생들이 참여하여, 오직 환자분들만을 위한 특별한 뮤지컬 콘서트를 준비하고 있습니다. General Hospital, Seongnam, for patients and their families. 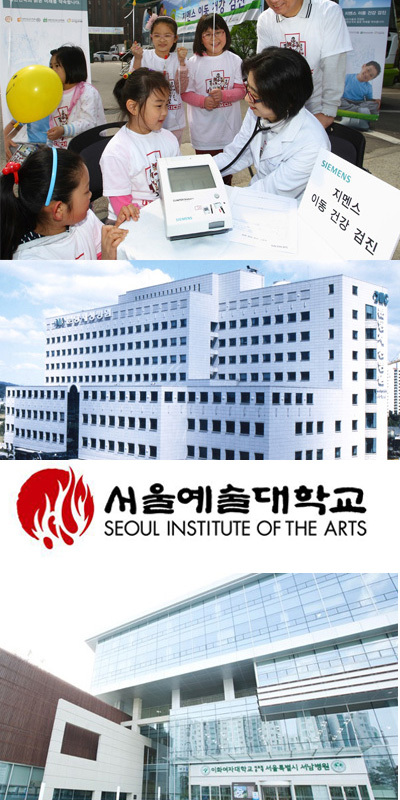 A special outreach concert will be held at the hospital by Yoon Young Park, EnoB's Director of the Arts, who encouraged his students at Seoul Institute of Art to participate in this special musical concert for the patients.The students will use the musical, directing, and acting skills they learned from class for their concert. 서남병원은 서울시에서 설립하고, 이화여자대학교병원이 위탁운영하고 있는 종합병원입니다. 병원 진료시작 2주년을 맞이하여 이노비가 서남병원을 찾아가 환자들을 위한 콘서트를 열 계획입니다. 서남병원은 노인성질환 전문병원으로 대부분의 환자분들은 연세가 많은 노인분들 입니다. 이노비의 공연이 노인 환자분들과 보호자분들께 따뜻한 위로가 되길 바랍니다. 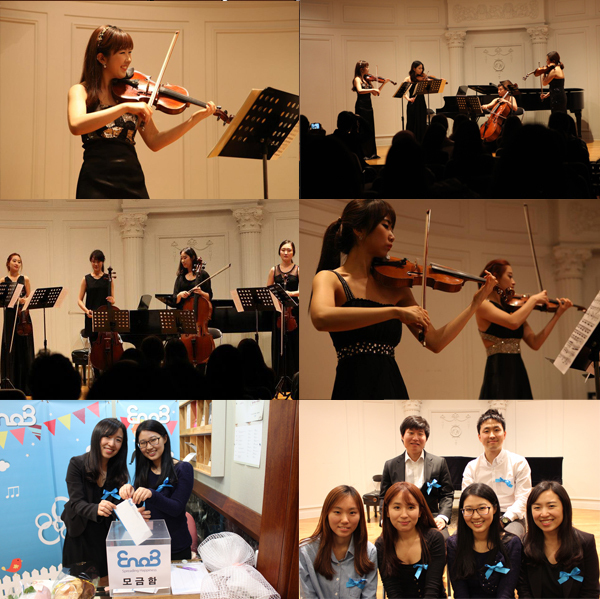 On May 27th, EnoB will hold an outreach concert at Seoul Seonam Hospital for patients and their families. Seoul Seonam Hospital was established by the city of Seoul and is currently operated by Ehwa Woman's University Hospital. On behalf the hospital's second anniversary, EnoB is performing a celebration concert. The hospital specializes in senior care, and we hope that our music will warm the hearts of the hospital's elderly patients and caregivers. 사진1- 한국일보 "이노비, 뉴저지밀알 무료 콘서트(2013.04.30)"
사진2- 중앙일보 "장애 아동 찾아가는 음악회(2013.04.30)"
사진3- 중앙일보 "이노비, 장애 아동들과 신나는 시간(2013.04.23)"
사진4- 한국일보 "한계 극복, 텁팀역 따냈죠(2013.04.11)"
사진5- 한국일보 "이노비.이화여대 사회봉사 협약(2013.04.26)"
사진6- 한국일보 "음악도 듣고 건강도 챙기세요(2013.05.07)"
사진7- 중앙일보 "건강세미나, 콘서트 한자리서(2013.05.07)"
Over the last seven years, EnoB has spread happiness to 7,000 program participants, and that number continues to grow! Of course, the musicians, artists, staff, and board members at EnoB do their best to fulfill their roles, but we couldnt succeed without donors and volunteers.